Recent winters have featured above average March snowfalls. Here's a look at some of the snowiest. WASHINGTON — Winter has been known to take a late swipe at the D.C. region, and recent winters have featured above average March snow. Last year, Washington saw its biggest snowfall of the season on March 5 when light rain transitioned to heavy snow. Ronald Reagan Washington National Airport saw 4.8 inches, while 8.6 inches fell at Dulles International Airport. March 2014 turned out to be one of the snowiest in recent memory, with a total of 12.7 inches recorded after two significant storms. One of the heaviest snowfalls to occur so late in the season — 7.2 inches — occurred on St. Patrick’s Day in Washington. At Dulles Airport, a whooping 19.8 inches of snow had fallen by the end of the March, a new monthly record. Even the unusually warm and snowless winter of 2012-2013 featured March snow. A storm on March 6, 2013 produced a slushy accumulation on downtown streets, and it dropped several inches in the western suburbs. Dulles recorded 3.3 inches of snow. Another snowfall later in the month boosted the airport’s snow total to 7.4 inches for the season. More than 5 inches fell in Washington in March 2009. March snow isn’t rare. The District of Columbia averages 1.3 inches of snow for the month. 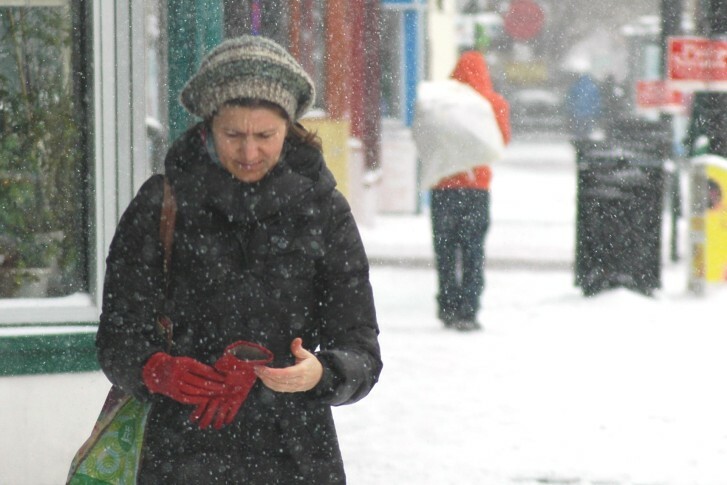 Other notorious late season snowstorms include the March 9, 1999 surprise snowstorm, a March snowfall in icy 1996 winter and the 6 to 18 inches that fell across the D.C. region during the so-called 1993 Superstorm. The most snow ever recorded during the month at Reagan National was 17.1 inches in March 1960.